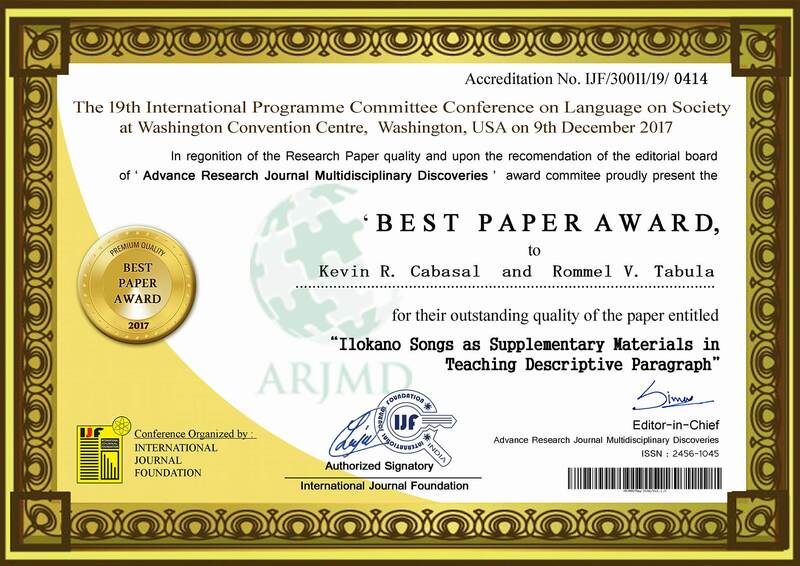 Thesis writing adviser and Filipino expat to Thailand, Rommel V. Tabula, was awarded “Best Paper” for the month of November, by the 19th International Programme Committee Conference on Language on Society at Washington Convention Center in Washington, USA last December 9. This announcement was made public by Tabula on his Facebook account. 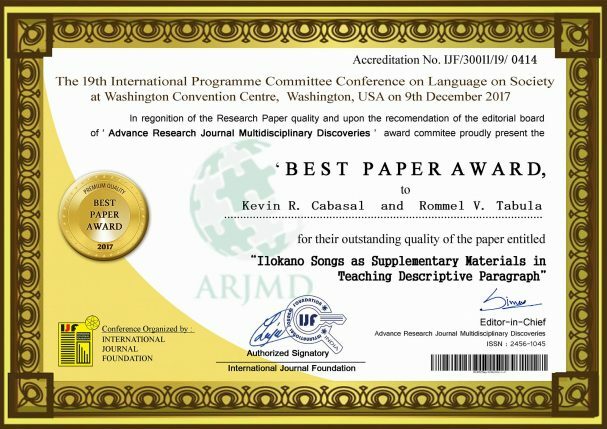 The recognition was made by the Advance Research Journal Multidisciplinary Discoveries on the paper “Ilokano Songs as Supplementary Materials in Teaching Descriptive Paragraph”. Advance Research Journal Multidisciplinary Discoveries is part of the International Journal Foundation. Tabula is the adviser of Kevin R. Cabasal’s paper. He is currently working as a TESOL Specialist and Research Coordinator in Tak province. Both Tabula and Cabasal’s paper was published in an upcoming issue. 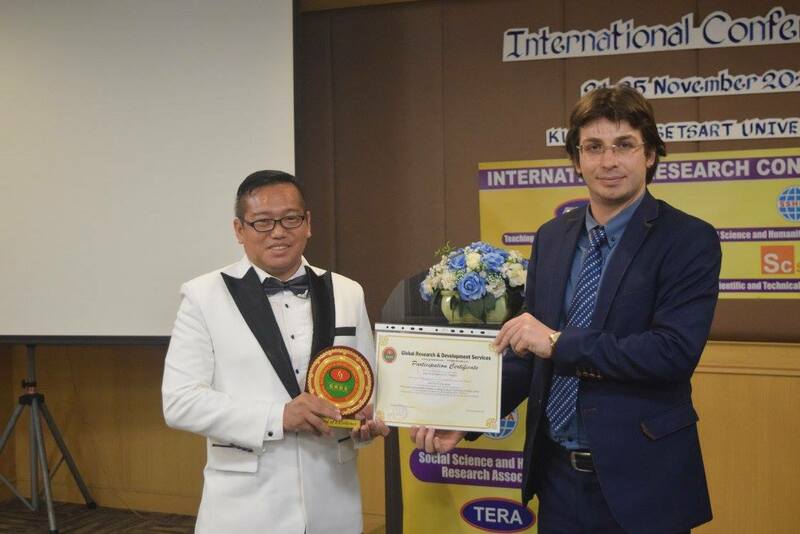 Tabula’s research work was also recognized by different international organizations. He was awarded Outstanding Research Leader 2017 by Asian Association for Academic Integrity and the Award of Excellence in Research by Global Research and Development Services among many others.